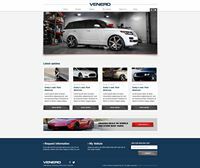 The good news is for this Cosmis Wheels Sale Venero Australia is offering 12 months 0% (interest free) repayments or finance options. This great finance offer ends 22 June 2014. Pls enquire within by email or phone! venero@venero.com.au or 02 8399 0126 (To be elligible you have to be 18 yrs old, are working and are able to provide two recent payslips) For underage customers, a guardian or sponsor is required. Terms and Conditions applies!